“Men on…” (colloquially known as “Men on Film”) is the umbrella title for a series of comedy sketches that appeared in episodes of the Fox sketch comedy series In Living Color. 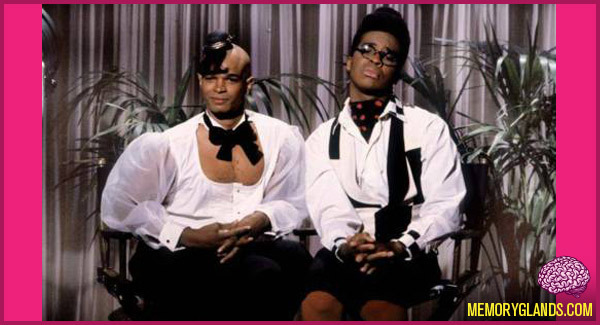 The sketch featured two gay cultural critics, Blaine Edwards (Damon Wayans) and Antoine Merriweather (David Alan Grier), commenting on aspects of popular culture, including movies, art and television. “Men on…” first appeared on the premiere episode of In Living Color and continued throughout Wayans’s tenure on the series. The sketch was revived on the late-night comedy series Saturday Night Live when Wayans hosted. “Men on…” engendered controversy for its portrayal of black gay men. Both Blaine and Antoine were portrayed as extremely effeminate. Some LGBT people and organizations felt this portrayal was insulting to gay men, although response within the community was split. African American cultural critics have identified “Men on…” as having affected how African American men view homosexuality within their communities.